(DETROIT) – Niko Goodrum and John Hicks were in no mood to wait for a deep count against Trevor Bauer. 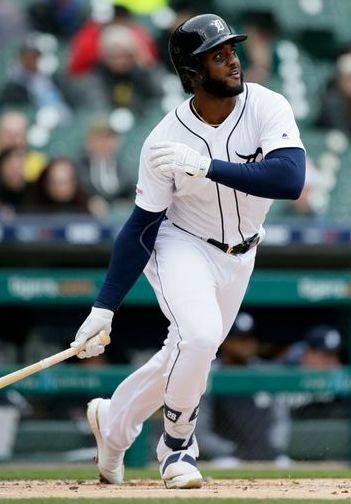 Bauer allowed home runs to Goodrum and Hicks, who powered Detroit over the Cleveland Indians 4-1 Wednesday for the Tigers' sixth win in seven games. Bauer (1-1) gave up four runs and 10 hits in 5 2/3 innings. He had allowed one run and one hit in his first two starts. Miguel Cabrera singled with two outs in the first, and Goodrum sent the next pitch over the right-field wall. Hicks homered leading off the sixth for a 3-1 lead, Gordon Beckham doubled with one out, and Josh Harrison singled on a bouncer up the middle to chase Bauer. Matthew Boyd (1-1) allowed one run and four hits in six innings with six strikeouts that raised his total to 29 in 17 1/3 innings over three starts. Shane Greene, Detroit's sixth pitcher, got three straight outs for his eighth save in eight appearances, ending Cleveland's five-game winning streak. He became the first big leaguer with eight saves in his team's first 12 games. Hanley Ramirez hit an RBI double in the sixth, but Boyd ended the inning by striking out Jake Bauers with runners on second and third. Ron Gardenhire won his 1,140th game and tied for 50th with Tom Kelly. Gardenhire served as a coach with the Twins under Kelly from 1991-01, then replaced him as Minnesota's manager.